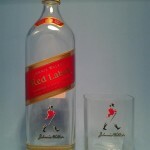 SKU:johnnie-walker-red-label-low-ball-glass-rocks. 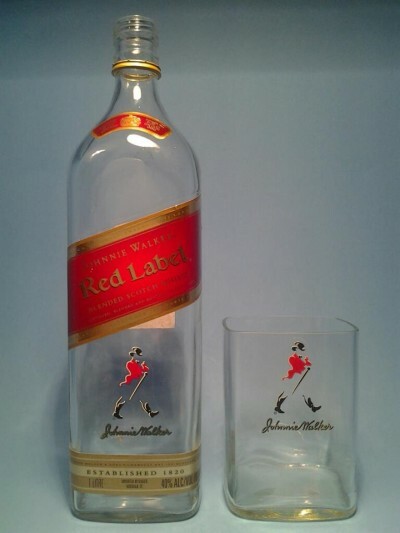 Categories: Barware Supplies, Johnnie Walker® Black Label, Short Tumblers. 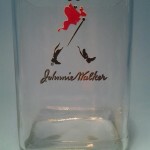 Tags: Bar Glass, Bar Glasses, Bar ware, Barware, bottle, Drinking Glass, Drinking Glasses, glass, Glass Mugs, Glass Tumbler, Glassware, Half Pint Glasses, Johnnie Walker Black Label, Johnnie Walker Red Label, liquor, Liquor Glass, Low Ball Glass, Personalized Glass Tumblers, Personalized Glasses, recycled, recycled bottle, Rocks, rocks glass, Rocks Tumbler, Scotch Glass, Short Glass, Short Glass Tumbler, short tumbler, Short Tumblers, Tumbler, tumblers, Whiskey Glass, Whiskey Glasses, Whisky Glass. 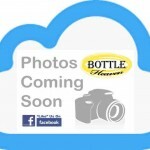 Low ball glass – perfect for beer, wine, water, iced tea or cocktails! 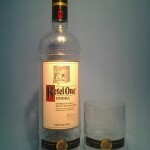 The low ball glasses would make a great addition to any bar, restaurant or kitchen collection! We’re meticulous & take pride in our quality & craftsmanship! Each piece is created by paying close attention to detail! * Can be used as a tea light or votive candle holder. * We sell single glasses and glass sets of everything! 1. 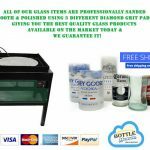 ALL of our highball glass sets have been professionally sanded flat using 3 different grit diamond pads on a commercial glass sanding machine! 2. After the glasses are evenly sanded flat, we use a diamond cone on the same commercial glass machine, to angle both the inside & outside lip of the glasses! 3. The last step is to polish the glass tumblers with a buffing pad to ensure that we have the smoothest lip on the market! We guarantee it! You may find a slightly better deal on the same item somewhere else but the quality definitely won’t be the same! ???? I’m happy to accommodate special orders upon request. ???? If you have any questions feel free to contact me. ???? Ask About Wholesale Pricing On 10 or More Items! All my glass items are properly packaged by me with care and promptly shipped out to you! ???? You Can Help Support Our Glass Recycling Efforts By Doing Any Of The Following ???? ► SHARING THIS RECYCLED ITEM REALLY HELPS GET THE WORD OUT & ITS FREE! ► By visiting our online store where you can get something cool made from one of our recycled bottles! ► By purchasing something from our Merch Store where we have everything from hoodies to skateboards! The upcycled, and handcrafted products sold here have no mutual affiliations, sponsorships, or endorsements with the companies who produce, and/or resell original bottles in original form. 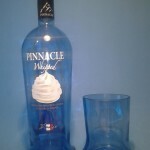 Keywords: Low Ball Glass, Short Tumbler, Rocks Glass, Whiskey Glass, Scotch Glass, Bar Glass, Drinking Glass, Bar ware , Tumbler, Liquor Glass, Short Glass Tumbler, Glassware, Tumblers, Short Tumbler, Rocks Glass, Rocks Tumbler, Glass Tumbler, Short Glass, Whisky Glass, Whiskey Glasses, Glass Tumbler, Drinking Glasses, Bar Glasses, Personalized Glasses, Short Glass Tumbler, Glass Mugs, Half Pint Glasses, Glass Tumbler, Personalized Glass Tumblers.